Amy Bath has to move on with her life. She leaves her barista job, blows her entire savings account, and heads to Sweden to seek out a man she thinks is her father...but she needs help. Archer Stock, a former professional fighter and devout Christian, reluctantly agrees to help Amy, and is thrust into dangerous territory. As their lives become entwined, Amy goes missing and Archer must unravel the mystery of her disappearance before it's too late for them both. A single word reverberated inside Amy’s head when she stepped into the gallery. Fake. She straightened in the designer gown and felt the price tag scratch across her skin. Women dripping in expensive jewelry and men wearing silk suits milled around her. She glued her left arm to her side. If this tag pops out, I’m sunk. Priceless originals hung from the walls. Although the artists remained fixed in their era, the paintings bridged generation after generation, beckoning admirers to draw closer and delve into the past. Amy turned away from one that had caught her attention, an oil on canvas from the 1800s. Get focused, Amy. You’ve got to find him. She unsnapped her clutch and pulled out a rumpled sepia photo of a man and woman sitting together on a rock wall overlooking a canyon. She’d spent so many nights staring at this picture, imagining sitting between the two, breathing in the dry desert air. She tucked it back into her clutch. “Hors d’oeuvre, miss?” The man in a vest and black tie dipped his tray her direction. She used her right hand to pluck a pancetta-wrapped asparagus from the silver tray. A salty tang burst upon her taste buds. She finished it in one bite and her stomach growled for more. The server had disappeared into another room of the gallery. This sure isn’t the Genghis Kahn Buffet from back home. Stockholm rested against the Archipelago. In a way, Seattle and Stockholm were touching the same water that circled the globe, but here it felt different, more ancient perhaps. From the jet, Amy had imagined seeing great wooden ships bobbing in the bay and wondered how different the journey would’ve been if she had come by sailing ship. She turned toward the table standing against an empty wall. A large ice sculpture stood in the center, flanked by a spray of out-of-season flowers swimming in a sea of maroon napkins. Amy doubted that roses could bloom outside a hot house this late in the fall. She snagged a napkin and studied the sculpture, a unicorn with its head arched and hooves pawing the air. She touched the surface of the clear ice, so smooth and cold. People wandered in and out of the well-lit rooms and paused near paintings. Amy followed the flow of the crowd. Despite the murmuring voices and scuffing of dress shoes against the wood flooring, the gallery felt quiet. She stopped and pretended to concentrate on the painting in front of her as she stole glances at the people shuffling by. A tall man wearing dark shades stood in the background. The clear pendant hanging from his neck caught the light and reflected it back toward Amy. He followed the crowd into the next room. A man stood behind her. How long has he been there? And how does he know I speak English? “I enjoy taking my time, I’ll get there eventually.” Amy focused on the painting before her, seeing it for the first time. The large canvas depicted a man and woman strolling along a moonlit beach. The woman took little care that the hem of her cream dress dipped in the shallow water. Her gaze was fixated on the ocean. The man’s canary suit matched the lace on her dress, and he clutched at her arm in a desperate way. He seemed to be attempting to tug her back to reality, or to himself, Amy couldn’t tell. She could almost hear the lap of the water against the shore and taste the salty breeze that often hung in the air on summer nights at the ocean. The setting spoke of romance, but Amy couldn’t ignore the distant longing in the woman’s eyes. “I like it when the artist paints himself in a scene.” The man scratched his strong jaw line with his knuckles. “They had a great love. I’ve always thought that this painting shows the artist’s realization of his wife’s straying heart.” He moved closer to Amy and the painting. Amy caught the scent of his cologne, woodsy with amber notes. “I’ll give you that.” She studied the painting. “I think she’s sad.” Amy could feel the tag digging into her side again. She tucked her clutch under her left arm, worried that somehow the man could spot the rectangle through the midnight-colored silk of her gown. Another tuxedo-clad server walked her direction with a tray full of sparkling water. She reached out and grasped the long stem of the glass before the server passed by. I’m talking art with a stranger when I should be searching for him. I don’t have much time left. Amy gave the man a polite nod and threaded back into the crowd, resuming her covert search of faces. She moved the glass to her left hand and lifted the silken fabric of her gown from brushing against the floor as she walked. Amy couldn’t take any chances with this dress. The price tag read more than she could afford in a year’s wages as a barista at the Coffee Cabin. The low hum of voices in the room turned to hushed whispers at the approach of two well-dressed men. They stepped into the room, flanked by security guards, their jackets tugged around ample muscles. Amy shuffled through the crowd, set her glass against the baby grand piano in the corner and moved close to the dignitaries. Both men appeared to be in their late forties. One had several extra pounds hanging from his middle and a jolly face to match. His dark hair shone, and he leaned against an ironwood cane with a silver handle. The man to his right stood stony-faced, his brow slightly furrowed. His hard, chiseled features reminded Amy of a marble statue. His age showed in the white streaks throughout his blond hair and the creases at the corners of his eyes. Without a doubt, this man matched the faded sepia picture. I flew all the way to Stockholm for this. I spent my life savings. It’s now or never. Amy pulled the photograph from her clutch. Her hand shook as she took a bold step forward. 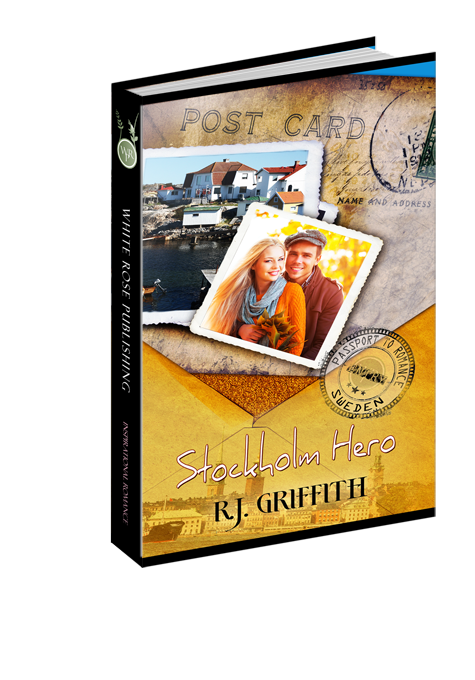 She opened her mouth to say the words she had practiced the whole way to Sweden, when a large hand wrapped around her arm and yanked. Answer 1: Instead of contacting the man she thinks is her father, she dresses the part of a fine lady and sneaks into the art gallery to approach him. Question 2: What is a mistake Amy keeps repeating? Answer 2: Several times in the story Amy's inability to see people deeper than face value gets her into trouble. Question 3: How is Archer a man above the influences of the world? Answer 3: He chooses not to put himself in a position where people could question his stance on purity. Question 4: Who does Amy turn to for advice? Answer 4: Her best friend Miranda is her lifeline. Question 5: What impact does Amy's mother's faith have on Amy? Answer 5: She sees her mother's faith and tries to understand it. Question 6: Why does Amy fly to Sweden? Answer 6: She decides to take matters into her own hands and find her father no matter the cost. Question 7: What attracts Archer to Amy? Answer 7: Her vivacity and enthusiasm spark an interest in Archer as well as her unspoken need for a protector. Question 8: Initially, Why does Archer tries to distance himself from Amy? Answer 8: Because he wants her to work through her struggles with God before starting a relationship. Question 9: When does Archer discover his true feelings for Amy? Answer 9 When she is abducted from the woods. Question 10: How is Amy's search for a father figure echoed in our own search for closure? Answer 10: God places a need for Him in our hearts and we search through life until we find the only way to fill that need is through Him alone.